Or should that say 8 Days Until Halloween? Both are correct, as Outskirts Press provides you with eight different books to enjoy, starting today, to tide you through All Hallows Eve! Since Halloween is almost here, it is the perfect opportunity to curl up with a good (scary) book. Readers of all ages love getting that chill up their spine this time of year, reading mysteries and thrillers as bare branches blow in the wind and strange noises make the mind soar with what could be lurking in the shadows. 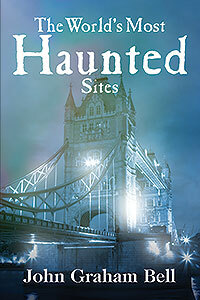 Non-fiction readers will love The World’s Most Haunted Sites which explores the history, legends, and ghostly happenings at the world’s most fascinating spectral landmarks. While researching this book, Mr. Bell visited more than 200 ghostly points of interest to find those which seemed the most authentically haunted. He interviewed historians, psychics, ghost-hunters and hundreds of people who believe they have encountered supernatural activity. When NYPD Detective Lieutenant Walter Hudson’s wife, Sarah, unexpectedly inherits a family farm in the tiny upstate village of Dutch River, New York, their first thought is to sell it as soon as possible. But they are immediately charmed by the village and its residents, and Sarah’s great-uncle, Armin Jaeger, leaves them a letter too puzzling to ignore. They are soon stunned to find that Sarah has been left more than a simple farmhouse in a quaint village; and matters turn even more intriguing when Walter discovers a mysterious connection between Dutch River and the murder of a prominent Boston philanthropist, Charles Martin Sewall. And matters take an even more deadly turn when Walter’s family is threatened. Walter will need all his skills and all the help he can get from his good friend, Leviticus Welles, as he desperately races against time not just to solve a hideous crime but to save his family as well. It’s a race he can’t afford to lose. Catch up with Detective Lieutenant Walter Hudson once again and this time, he is in over his head (and he knows it!). As he begins to receive intense pressure to solve a new case from both Mayor Deborah Kaplan and Police Commissioner Sean Donahue, a judge’s beautiful daughter starts giving him more help than he’s looking for. He’ll need all the help he can get from Leviticus Welles, now a rising star in the NYPD’s Intelligence Division, to guide him through the maze of Teddy Braxton’s life as well as the tangle of his own emotions. 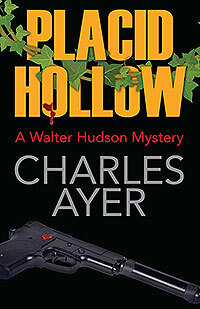 But one thing Walter knows from the start is that there’s nothing placid at all about Placid Hollow. 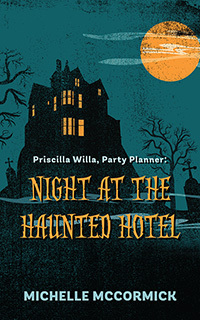 Juvenile fiction readers should check out Night at the Haunted Hotel. Ten year-old Priscilla Willa is at it again! 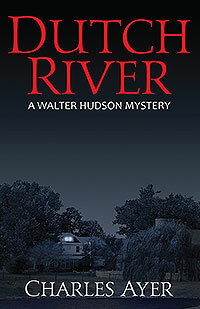 This time she and her partners are in charge of a murder mystery party at the old River Rock Inn. They’ve got their hands full with menus, costumes, and silly guests. But what are they supposed to do when a grumpy ghost shows up? Join the fun as Priscilla and her friends plan their most spooktacular party yet! The Not So Wicked, Wicked Witch is a charming story about a witch that is in image only. After reading the story and getting to know Carter’s witch, you realize that she has a heart of gold and is loving inside and out. A delightful book just in time for Halloween! Police Chief Dexter Lowe enjoys his humdrum job in the sleepy little town of Gator Creek, Florida, until a kidnapper begins terrorizing the local women. FBI Special Agent Teddi McCoy arrives to help him hunt down the mysterious kidnapper. 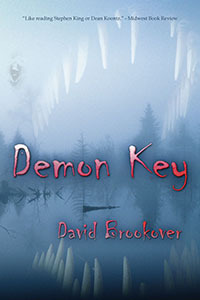 Aided by an eccentric’s remarkable visions, McCoy tracks the kidnapper to an isolated island on the eastern edge of the Florida Everglades: Demon Key, a place where the kidnapper’s victims have mysteriously vanished… forever. Tricks and treats fill the night in this bewitchingly spooky tale involving two little witches out to cause some mischief on Halloween. When they encounter a group of trick-or-treating children, they receive a surprise of their own! 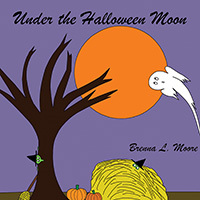 The clever rhyming text and delightful illustrations will make this book a Halloween treat for both young children and the adults who read it to them. A psychotic madman stalks the road ways of Bontonville for his next victim. He lures truckers and travelers into his private hell where he ruthlessly attacks them, hides their vehicles and disposes of their bodies in an immense underground lair where they become part of his deliciously macabre collection. For over twenty years not a shred of evidence has escaped his maniacal control. Until one day a federal agent on a case in the next county, stumbles on a clue that erupts into an intense, deadly chase to catch the most heinous killer in local history. While we’ve provided you with a few suggestions, the Outskirts Press bookstore is filled with books certain to satisfy your craving for thrills and chills. So, now is the time to find your favorite afghan, heat up your mug of tea, and nestle into your new favorite book!